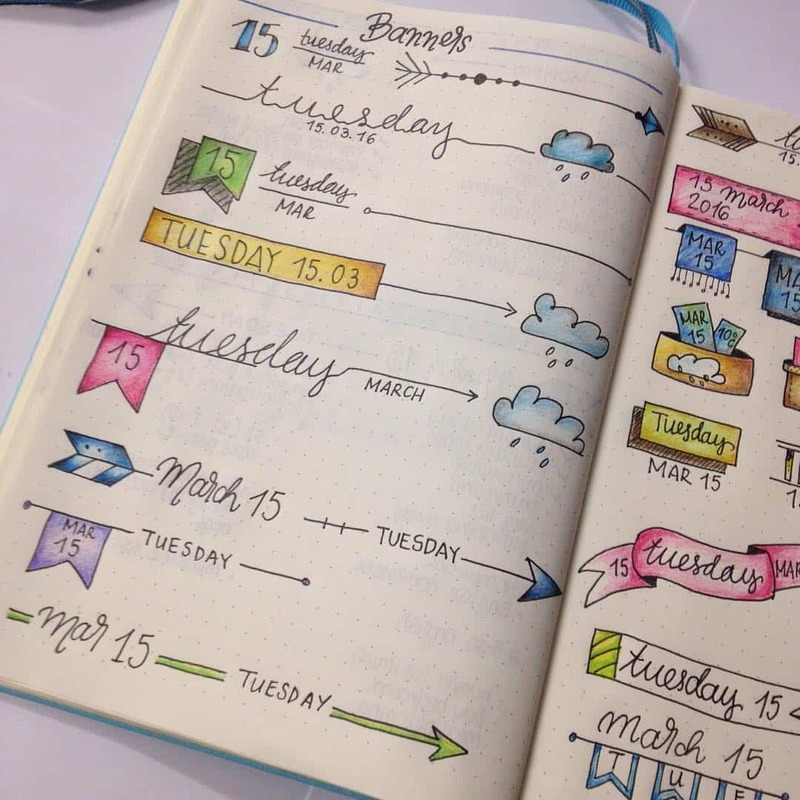 You don’t have to be an artist to bring your BuJo to life. 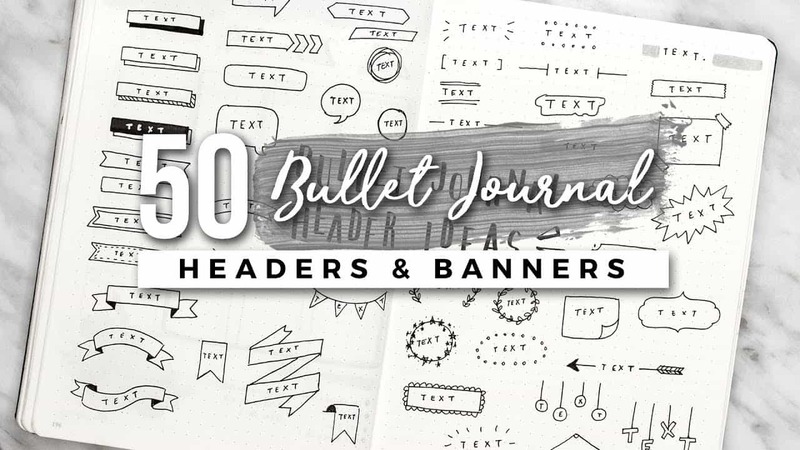 Check out some of our favourite Bullet Journal banners and headers and tips to get you started. Once you’ve setup your Bullet Journal and got your head around the basic system it’s time to start brining your journal to life. 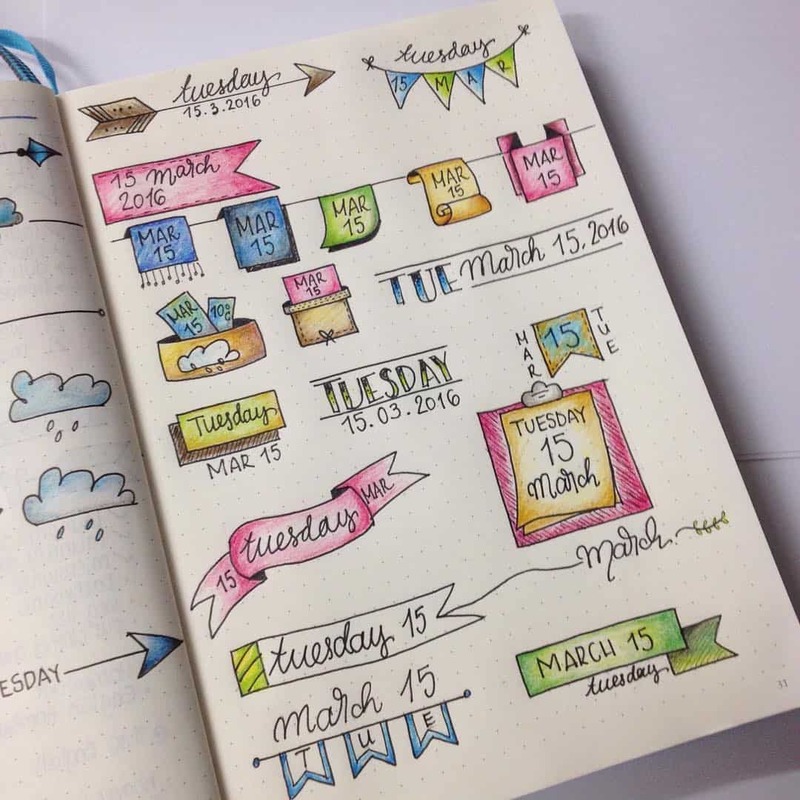 The simplest way is to doodle banners and headers on your spreads so today I’m sharing some of my favourite doodles from other BuJo users as well as some tips to help you get started. 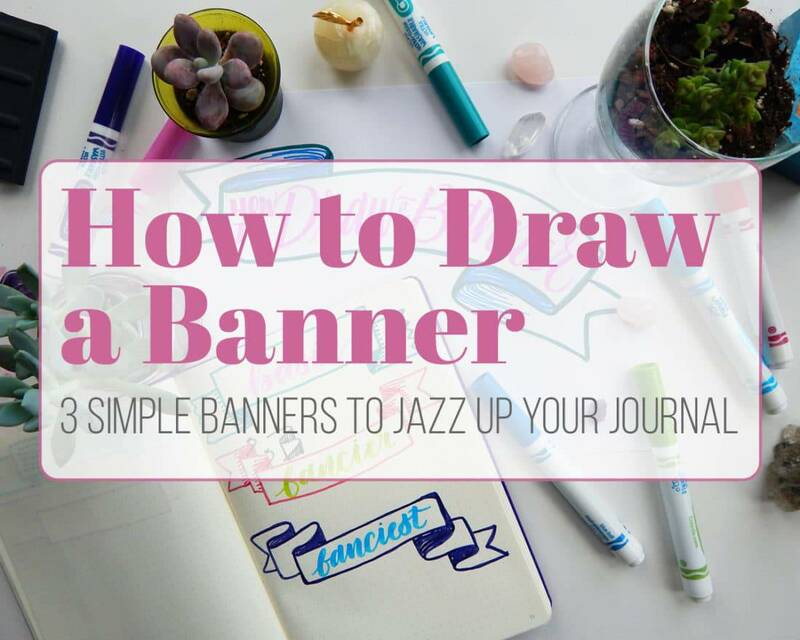 Create a reference sheet with lots of different banners, fonts and borders and keep it in the back of your journal so the ideas are right there when you need them. 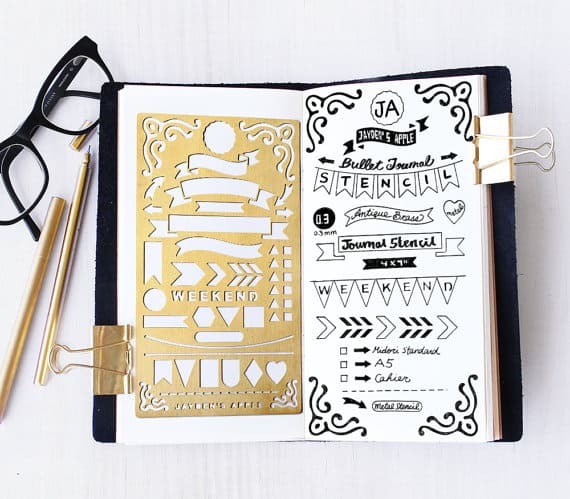 Get inspired by other layouts you see on Pinterest boards or Instagram, as well as magazines and just plain old doodling! 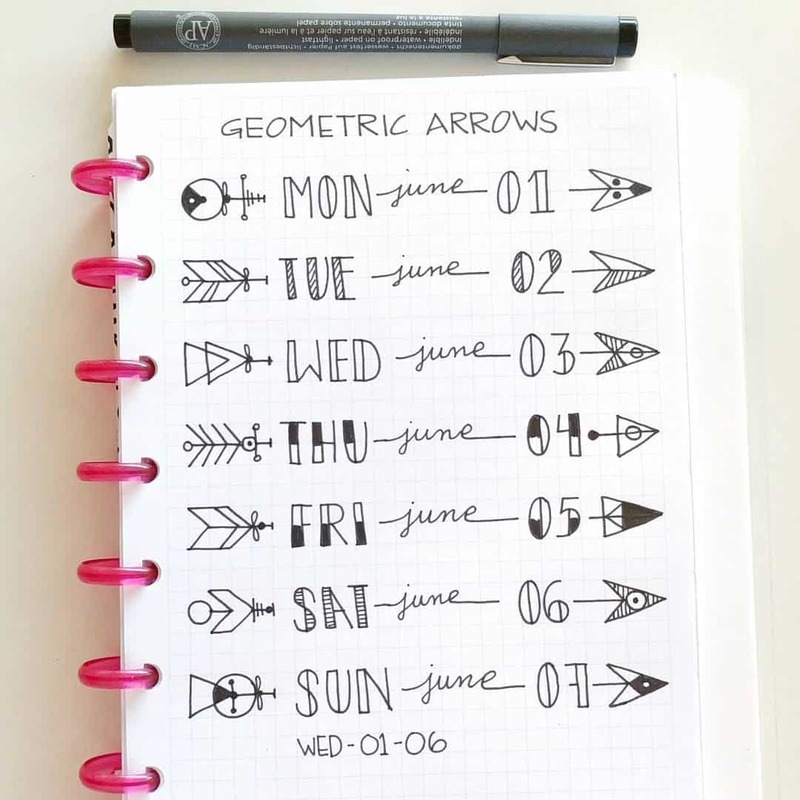 Play around with different arrows and lettering styles. Use a ruler to keep everything looking neat. If you love the hand drawn look but just can’t master it then use a printable like this one to use as a template or turn into stickers. 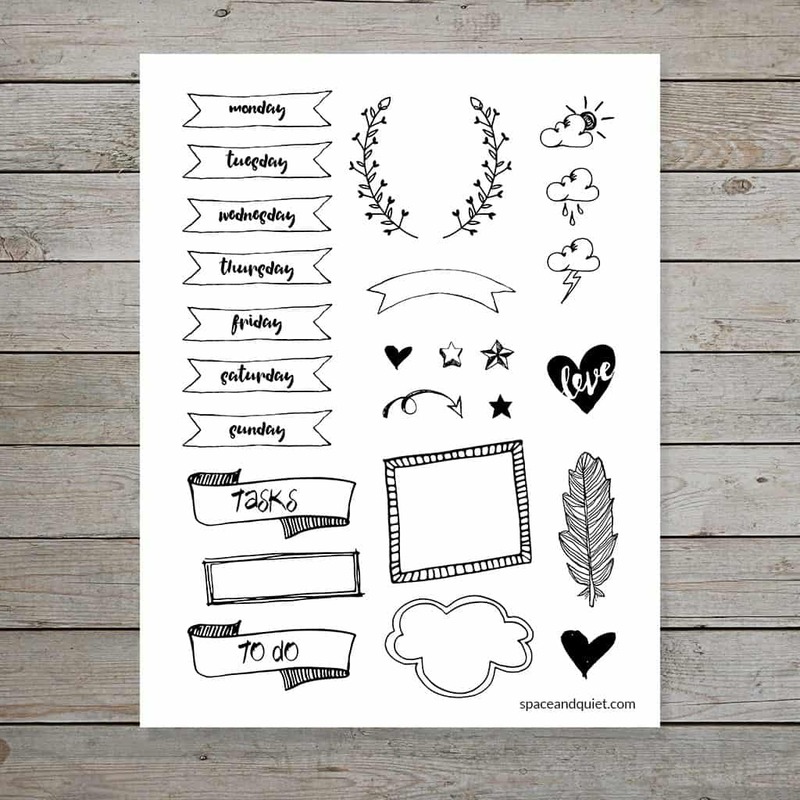 Don’t miss our Bullet Journal Printables collection. Don’t be afraid to fill your headings and banners with colour! 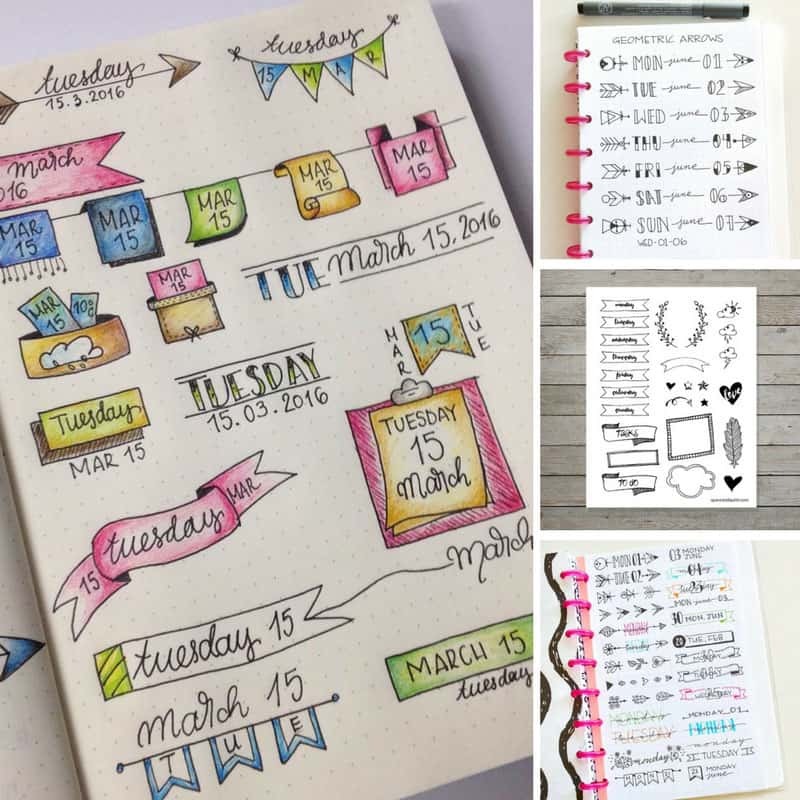 Doodle out your Bullet Journal banner and header ideas on a piece of paper or separate notebook before moving the ones you like over to your Bullet Journal for future reference. 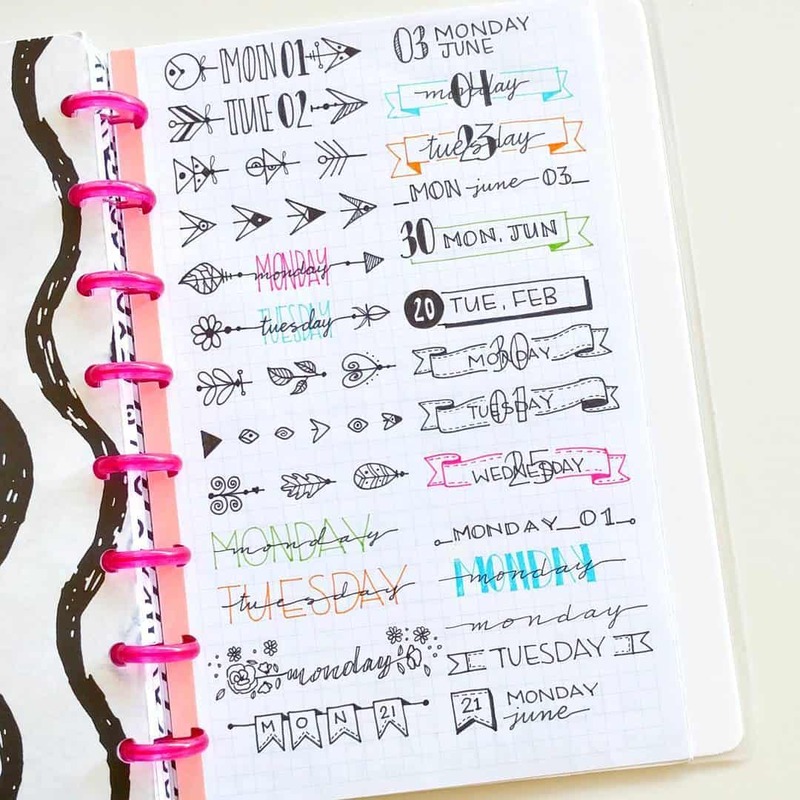 Don’t think you can’t get started because you don’t have any fancy Bullet Journal pens. Just grab some Crayola markers from your kid’s craft box! 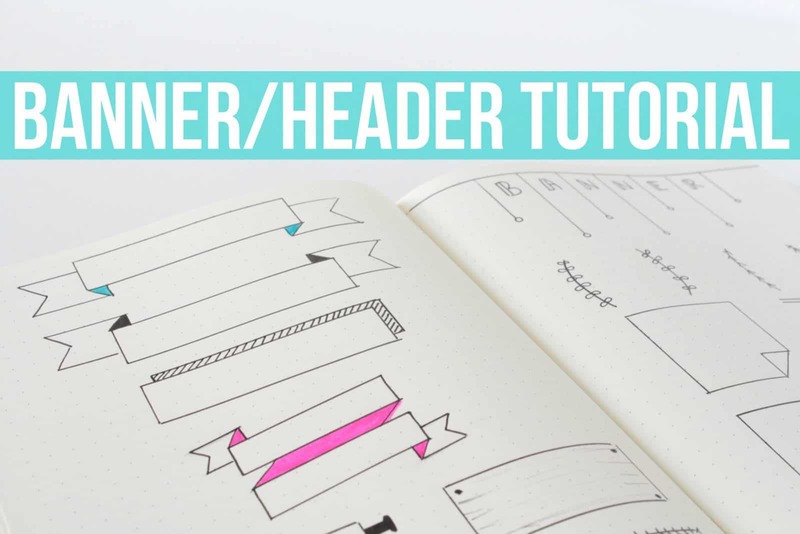 Watch some Youtube videos to see how other people draw out their banners and headers.